ryan's aunt sandy is really into sewing and quilting. sandy knows that i love cooking/baking and that i have been trying to use my sewing machine more, so she recently gave me a copy of the kitchen stitches ebook. this book is really neat since it has a ton of patterns for sewing projects for your kitchen. 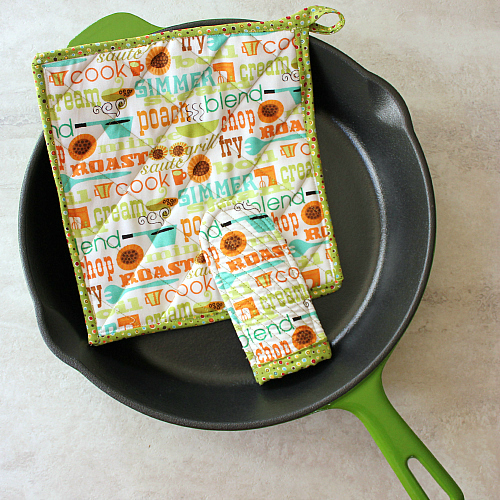 i bought the fabric and inside lining for these potholders at our local joann fabric and craft store and i was able to get all of it on sale. (you can find joann coupons here!) it was my first attempt, so the pot holders are far from perfect, but i'm still pretty proud of them. 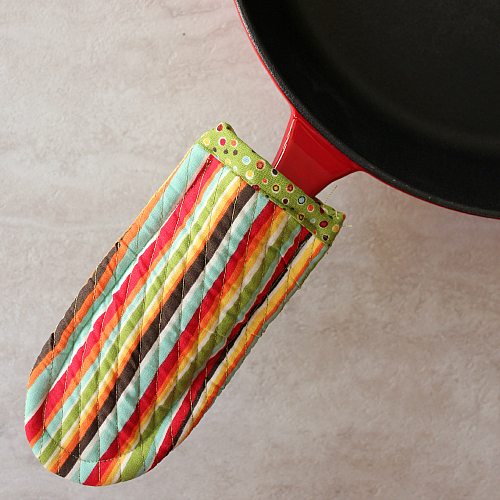 it was a fun little project, and the potholders are both cute and practical for every day use. 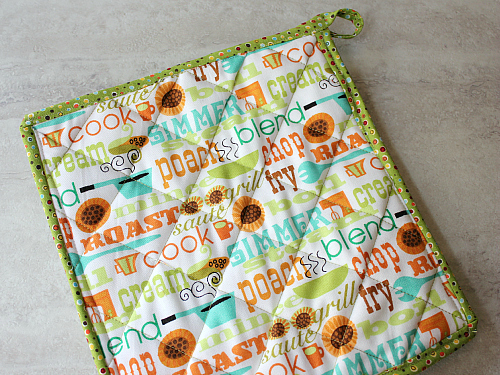 i'm looking forward to making more projects out of the kitchen stitches book! I love them and the colors. Great for not burning your hands as I always do. Don't forget to email me the book. 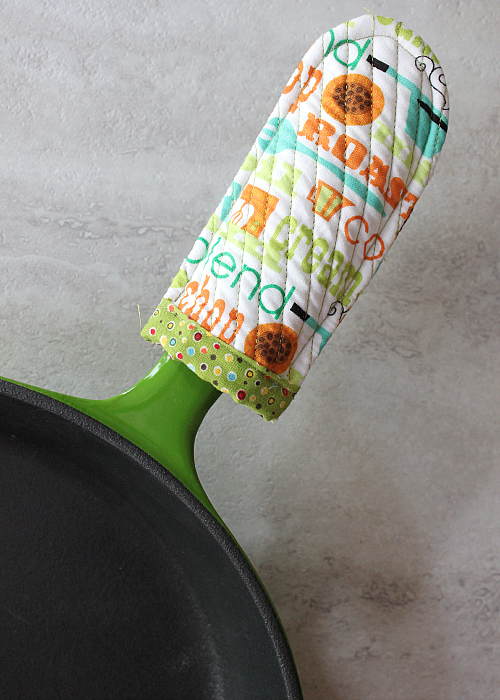 I like how the fabrics coordinate with the colors of the pan handles. How are these far from perfect?! Lol. They look amazing! Seriously, I'm jealous of your sewing skills. I'd love to make these, but know they wouldn't turn out nearly as good as yours did. These would make amazing gifts!